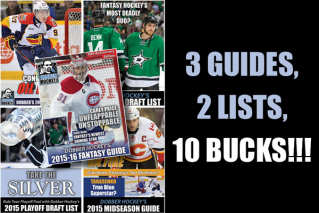 The best damn fantasy hockey guide on the market is now in its 10th year. Last updated: Oct. 07, 2015 (includes the Dekeyser/Eberle/Dupuis injuries and updated projections surrounding those – find another Guide that will give you THAT!). Updated daily throughout training camp! SKU: DHFG 1516. Category: Archived Guides. An Adobe document (pdf). 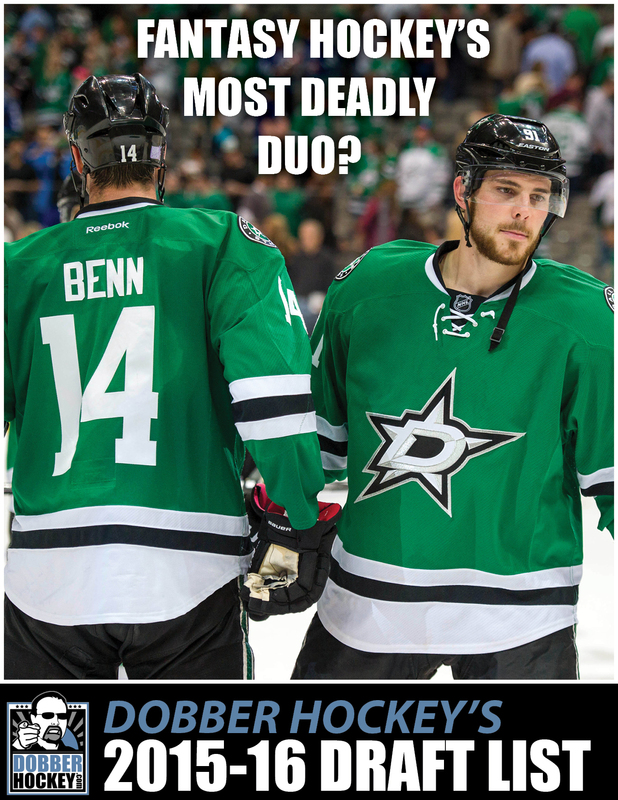 The best damn fantasy hockey guide on the market. Guide and Draft List are updated through training camp to the start of the season. Sleepers, upsides, projections on a sortable spreadsheet, line combos and more – including projections for hits and blocked shots. 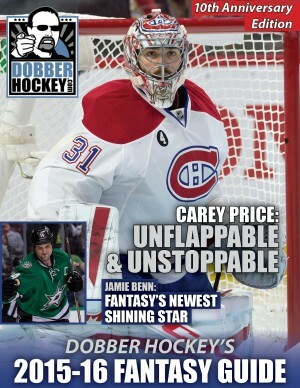 The 10th annual guide brought to you by the fantasy contributor of Sportsnet.ca, Yahoo! Puck Daddy and the former fantasy hockey guy for TheHockeyNews.com (2002-2014) and Sports Forecaster (2004-2012). Available for immediate download! All products are available for download immediately after purchase via the "downloads" link in the main menu above. *WOW* Hey – you're already spending $10 on this – do you want the Prospects Report, Midseason Guide and Playoff List for FREE? Here's how! Get it every year. Great info and almost always bang on predictions. One of, if not the best guides for sure!! Keep em coming Dobber! This guide is gold. I've been consistently in the money in all my pools since using it. So in-depth and full of great information you wouldn't even think to consider unless you're a full-time fantasy hockey writer. Combined with the Fantasy Hockey Geek tool, it gives you a big leg up. The best and only guide for Fantasy Hockey. Provides an incredible amount of insight and analysis and continues to be updated on a regular basis. This is a steal for the price and is a must own by all Fantasy Hockey players. There can be only one, and this is it! Published early and updated regularly right up to the beginning of the season. I've bought other guides here and there over the years but I always purchase this one. Without a doubt the best guide available in fantasy hockey. I've purchased the guide for years and every year it gets a bit better! An invaluable resource for your pools and an enjoyable read to boot. The fact that the guide updates until the season gets rolling is the best part — other guides are so inaccurate because they are published once midsummer. This one has injury updates, training camp updates, and more! I'll just get the ball rolling with reviews in my new shop. I've been writing the Fantasy Hockey Guides for 10 years now. And it has evolved. As a keeper league owner for 26 years, a fantasy hockey writer for some big sites (The Hockey News, Sportsnet, Yahoo! 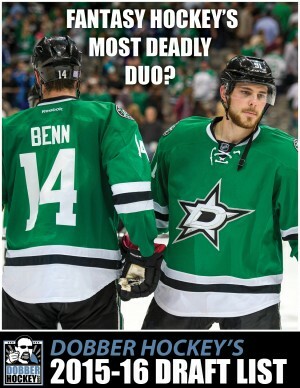 Puck Daddy) and big magazines (THN Pool Guide, Forecaster) I know what I most want to see in a Fantasy Hockey Guide. And each year I add to that knowledge and make the Guide even better. Give my Guide a try and you'll be impressed. But more importantly, you'll WIN. If you don't like what you see, I'm happy to give your money back. Here are some testimonials from over the years.